From The Sporting Life - Wednesday 08 October 1862. 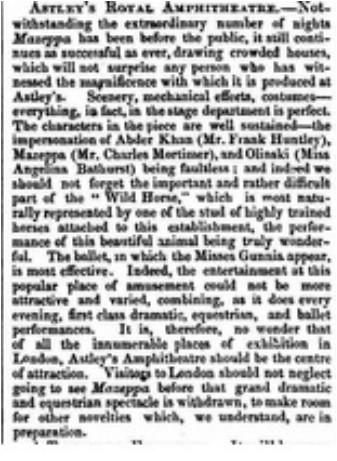 From The Morning Post - Monday 13 October 1862. 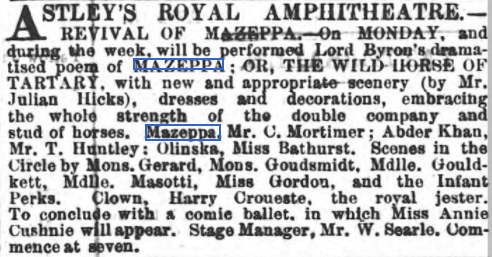 "Mr Charles Mortimer, who is remarkably like the picture of the gentleman bound to the runaway steed who figures on the huge posters in the streets, makes a capital representation of Mazeppa." 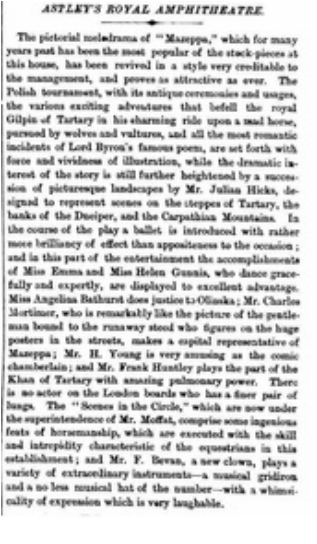 From The Bell's Weekly Messenger - Saturday 08 November 1862.